Spring is just around the corner, which means that the days are getting longer. Nature is beginning to come alive as well. To keep your customers coming back for more, you want your beverage selections to reflect the change in seasons. Here are some spring drink recipes that will make you feel refreshed and ready to say goodbye to the drab winter days. Smoothies are tasty ways to sneak extra nutrients into your diet. A creamy strawberry smoothie is a light and delicious drink that beckons spring. The green color is perfect for a St. Patrick's Day celebration. Also, it reminds you that the plants are finally in bloom. Blend all ingredients on medium speed for 45 seconds. Serve in a tall glass. Garnish with fresh strawberries. 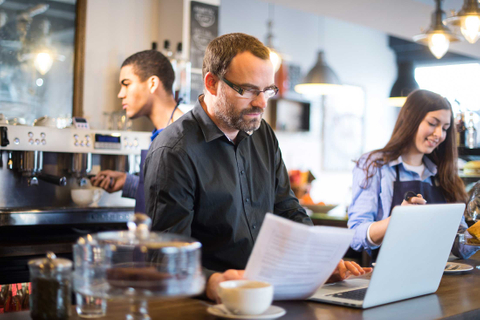 Have you ever thought about what it takes to bring a single cup of coffee to your customers? Coffee powders can only travel from the fields to your shop or restaurant in Central Texas with help from shipping professionals. That’s where we come in. Waterfall Gourmet Beverages is proud to offer free shipping to all customers in the San Antonio, Austin, and Waco areas. As a highly rated wholesale coffee supplier, we have the know-how and tools that equate on-time delivery and precision order accuracy. We’re much more than just a coffee distributor — our products also include ciders, teas, chai, paper products, barista equipment, and more. Say goodbye to the hassle of juggling multiple suppliers. With help from Waterfall Gourmet Beverages, you can streamline the supply process. 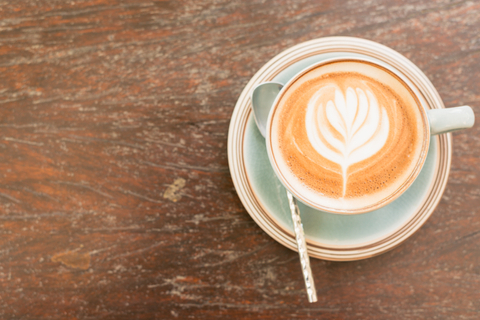 Milk and dairy products have been a staple for coffee shops and restaurants who serve caffeinated drinks for years. However, non-dairy and alternative milk substitutes are an increasingly popular beverage supply. 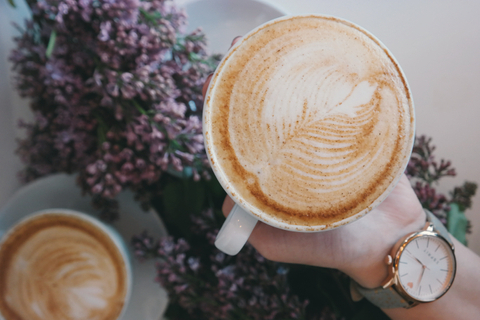 The rise in veganism, ovo-vegetarianism, allergies, and lactose intolerance are just a few of the reasons why your restaurant or coffee shop should consider carrying vegan milk alternatives. 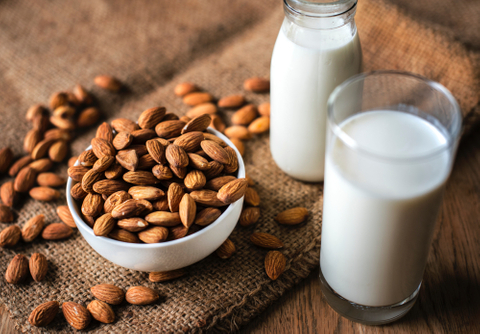 Soy milk is a popular and well-known option, but there are so many other types of vegan and non-dairy milk alternatives available through beverage distributors. When determining what kind of vegan milk to include when restocking cafe supplies, you should take food allergies into consideration. The most common food allergens include cow’s milk, tree nuts, and soy. You might want to carry a milk that does not include any common allergens or more than one type of non-dairy milk in order to appeal to the widest customer base possible. Having a hot cup of coffee and a sweet treat for breakfast is a time-honored tradition across the world, including the Netherlands. In fact, in 1810, stroopwafels were first created there by a baker named Gerard Kamphuisen who wanted to make use of some leftover baking ingredients that he had. His creation was a big hit, and soon, word spread of the delicious little snacks. Luckily, you don't have to travel all the way to Holland to find a good stroopwafel anymore though. Here at Waterfall Gourmet Beverages, we always have a fresh supply of them in stock for our customers. 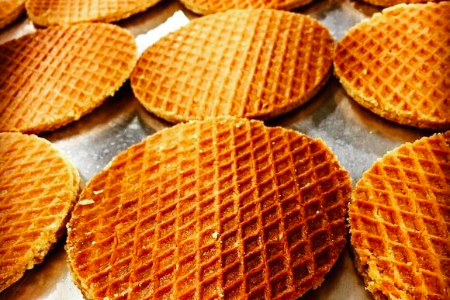 Here are a few reasons why you should make stroopwafels part of your next coffee shop supply order. There's no denying that the art of producing excellent coffee has gained a renewed appreciation in the past 20 years. 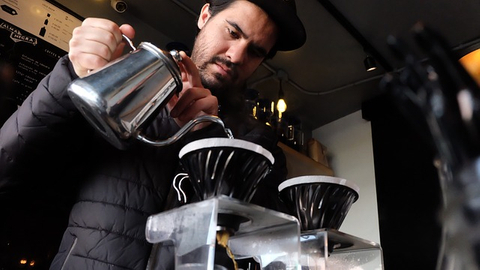 A large swath of the general public is taking gourmet coffee more seriously than ever nowadays. 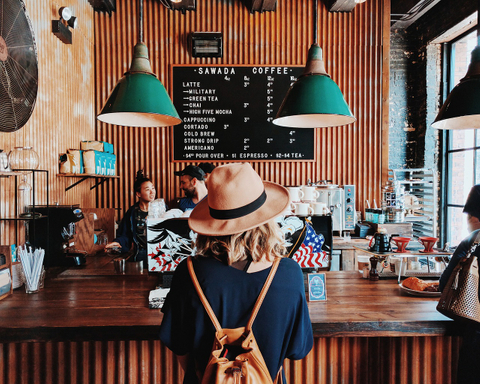 If you want to capitalize on this trend by starting your own coffee shop, there are some crucial coffee supplies that you'll need to buy. 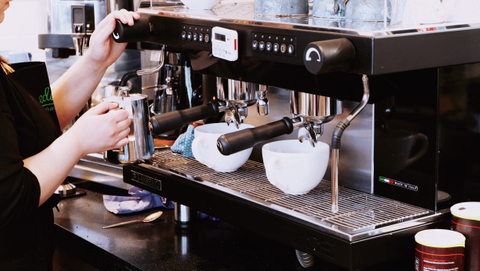 Here's a brief checklist to guide your coffee equipment purchasing decisions. If you want to make truly transcendent coffee, a topnotch grinder is one piece of barista equipment that can't be overlooked. For the best results, having both a blade grinder and a burr grinder on hand is recommended. Blade grinders are generally used to prepare grounds for traditional drip-brewed coffee. Burr grinders, on the other hand, are required equipment if you want to make high-quality espresso. Restaurants today understand the importance of offering specialty beverages. Gourmet beverages can attract more customers and increase your profits. 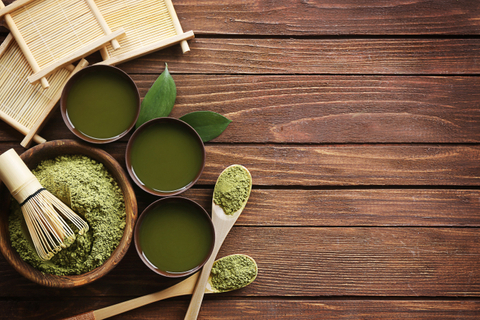 In response to customer preferences, restaurants are offering an increasing variety of specialty drinks, including smoothies, chai, gourmet coffee, fine teas, and more. These types of drinks can draw customers into your restaurants during hours when food sales are slow. During dead times, offering specialty beverages can draw in customers who are there simply to enjoy the drinks that you offer. There are multiple benefits to working with a gourmet restaurant coffee supplier like Waterfall Gourmet Beverages to supply your restaurant with the finest beverages available. Running a successful tea shop takes a lot of work. Not only do you strive to provide superior products and service, but it is important to keep the operating costs low. One solid strategy is to hire a tea distributor to buy your tea shop items wholesale. With a tea or beverage distributor, you can reduce the costs of buying your teas and will face less of a hassle with the ordering process. Wholesale works by providing you, the business, with a bulk number of products. For instance, if your tea shop needs a supply of fresh Chai tea, a beverage distributor will be able to negotiate and sell your tea shop a bulk item amount of Chai tea. With a contract, your store will consistently receive the necessary amounts of Chai tea within a set amount of time at a specific rate. 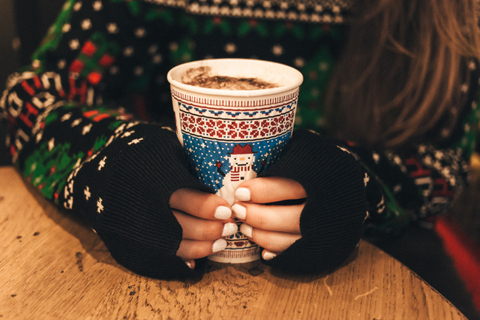 All coffee shops and restaurants require a consistent and trusted supply of vital coffee and tea products to enable them to provide quality drinks to their customers. Although there are many options in regards to purchasing barista products and paper supplies for coffee shops, it is crucial to have a trusted and reputable supplier for quality, dependability, and on-time delivery. Waterfall Beverages is a leading coffee shop supplies and equipment company. Other restaurant beverage supplies that we provide include; syrups, milk, sauces, paper products equipment among others that are aligned with the restaurant business. 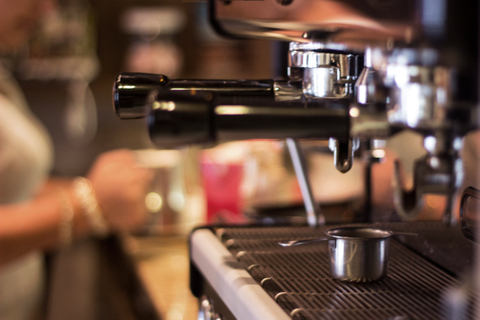 Take a look at some of our hometown cafes that trust us with their beverage supplies and more!